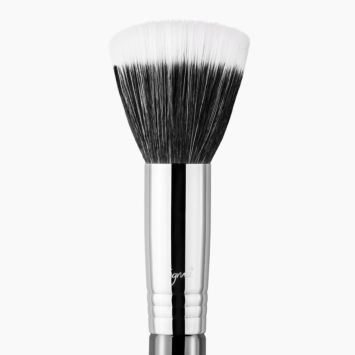 Get a natural, dewy finish by stippling or swirling your favorite foundation onto the skin using this classic, Sigmax® duo-fiber brush. F50 Duo Fibre Brush - Light Blue/Chrome is rated 3.0 out of 5 by 1. Rated 3 out of 5 by t1nee from It wasn't for me Maybe it was the Sigmax fibers that I didn't like? 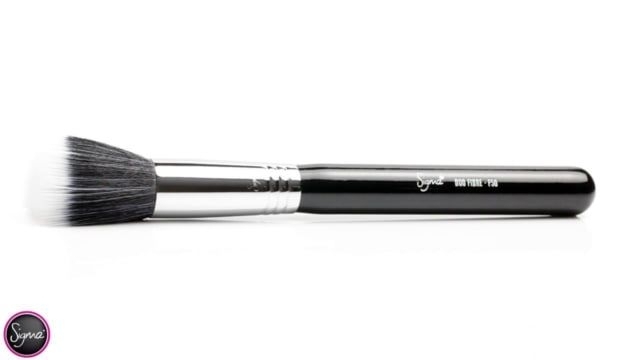 This is one of 2 brushes that just didn't work out that well for me from Sigma. I tried 2 different foundations, and I wasn't really happy with the results. I tried several times using proper application, but I still think using a beauty sponge is better for now. I think I'll have to try a different foundation brush from Sigma. 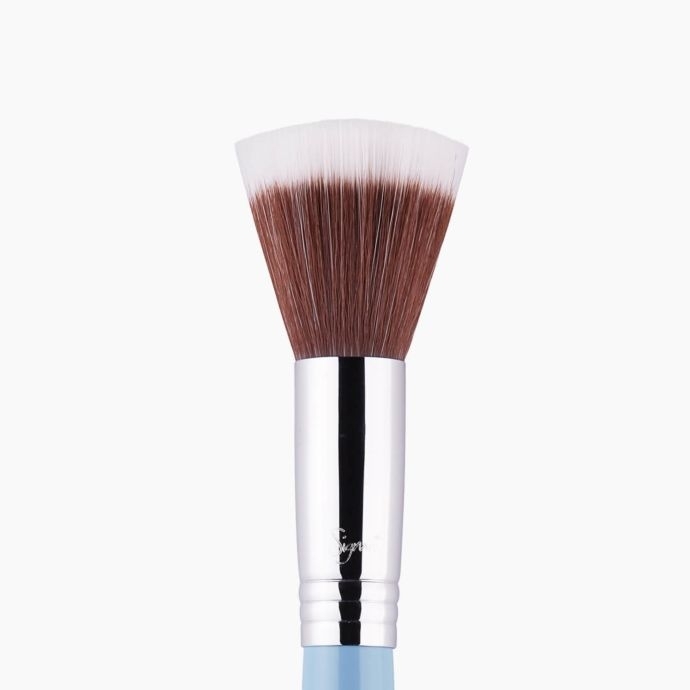 The only difference of this version of the F50 Duo Fibre Brush is the color of the handle - which is Bunny Blue! For your reference, we do take our product photos in-house so that may be where you are seeing the differences in the bristles, which may be from lighting or the angle of the photograph. For what is exactly this brush ? 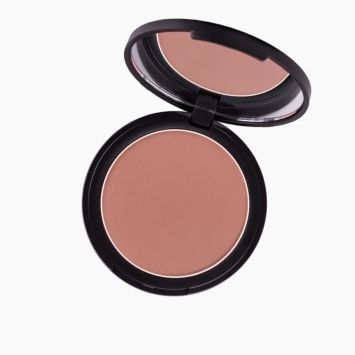 For foundation? 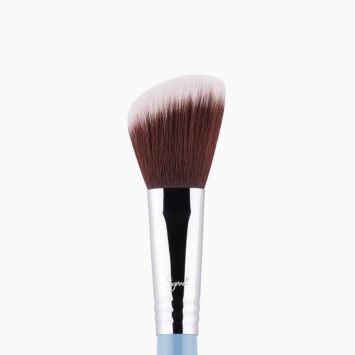 The F50 - Duo Fibre Brush in Bunny Blue features blended fibers that create an airy flat brush head. 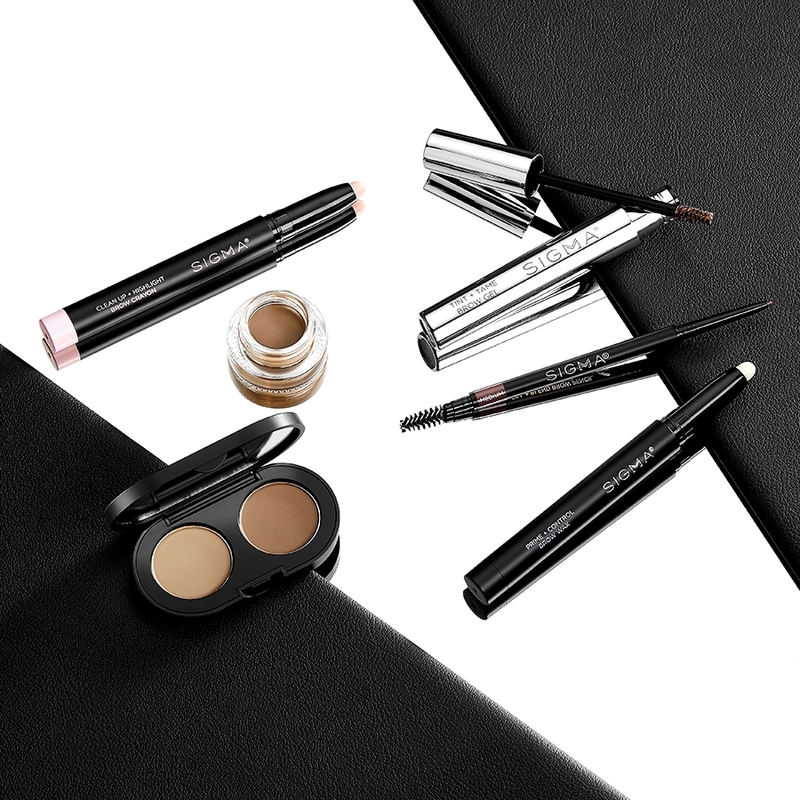 It is the best brush to blend powder or liquid products onto the skin for an airbrushed finish. 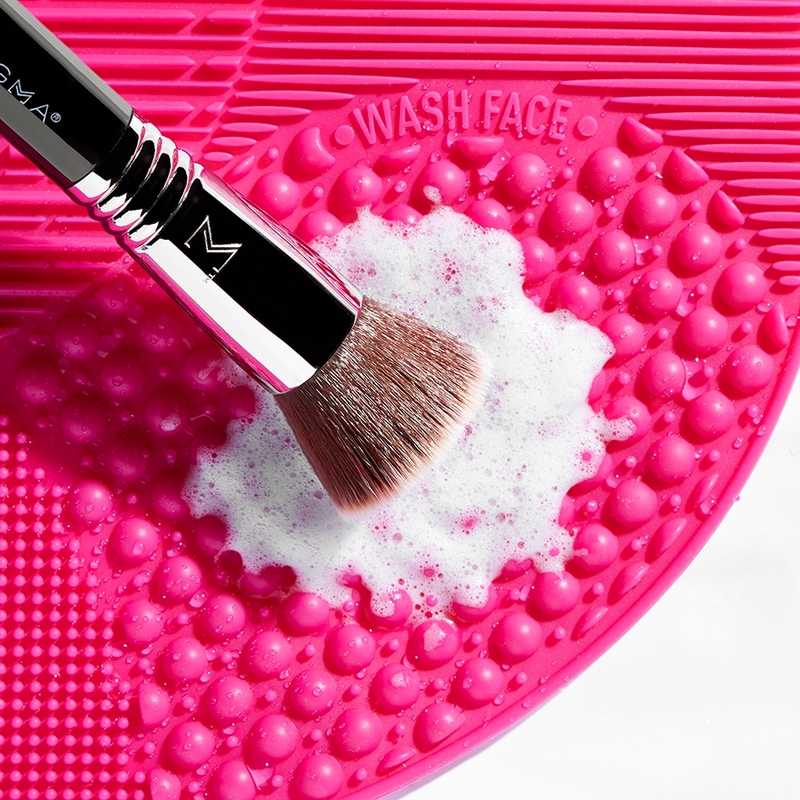 ​We would recommend using powder or liquid foundation, concealer or BB creams with this brush. Does this comes with a 2 year warranty as well? That is correct! 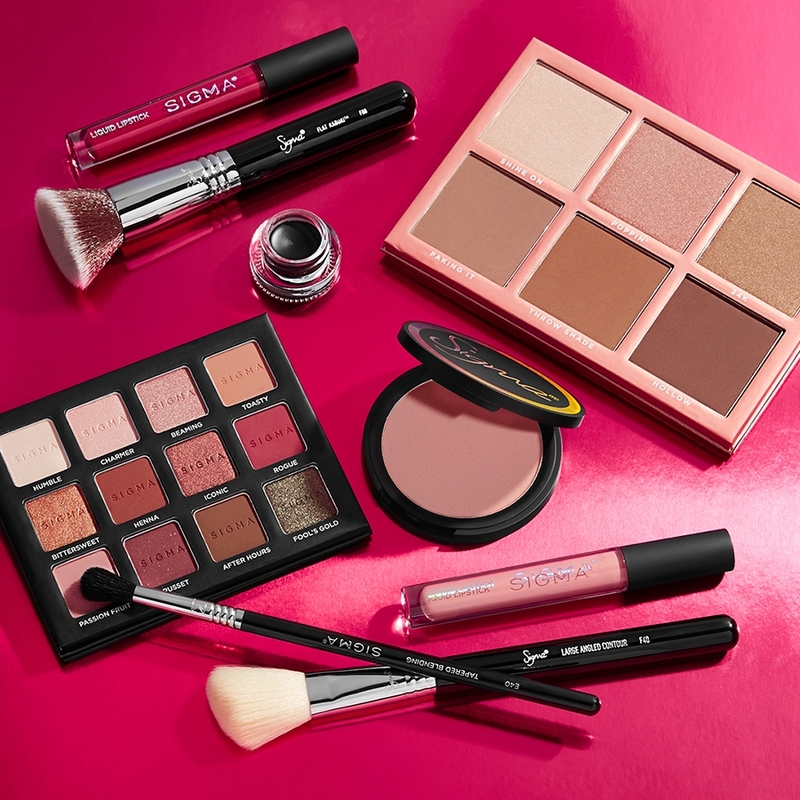 If you purchased a Sigma Beauty brush, Sigma Spa&reg; brush cleaning gadget, Sigma Dry&rsquo;n Shape&reg; Tower or Sigma Beauty brush storage from SigmaBeauty.com or any of our Authorized Retailers, and that beauty tool fails due to a manufacturing defect, we will, at our discretion, replace it. What is the different between this blue one and F50 the original one (black color)? Is that do the same thing? 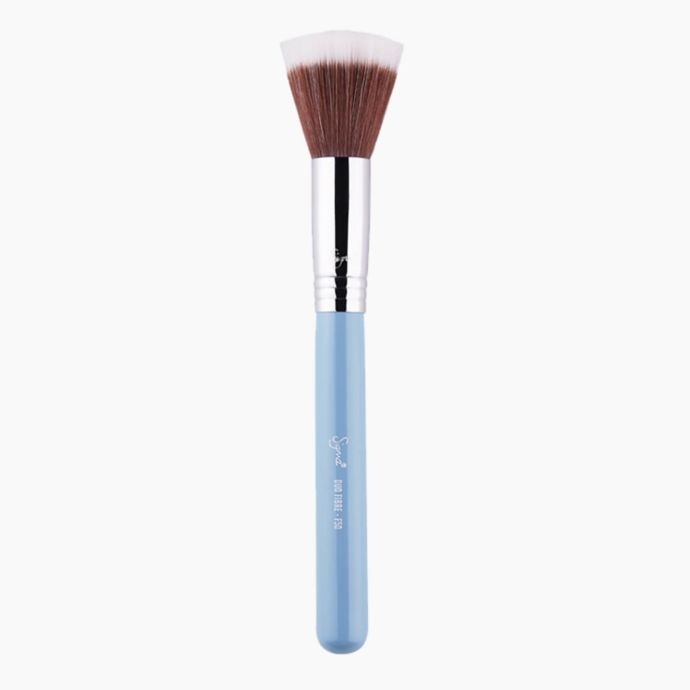 The F50 - Duo Fibre Brush in Bunny Blue is the same brush, except for the color of the handle. It still performs the same functions and is made with the same quality! The F50 Duo Fibre is a fluffy, and soft, airy, flat brush head. 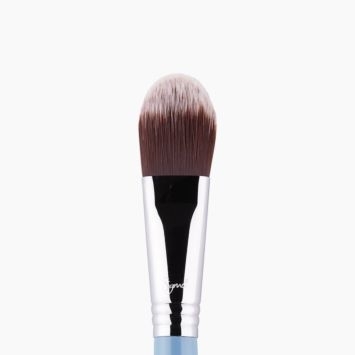 This brush is perfect to blend powder or liquid products onto the skin for an airbrushed finish. 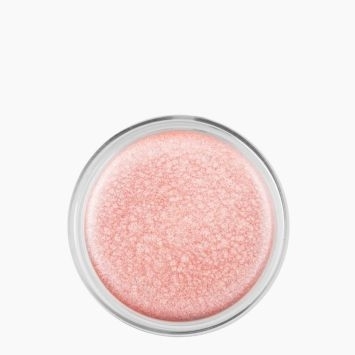 And can be used as a lovely stippling brush. 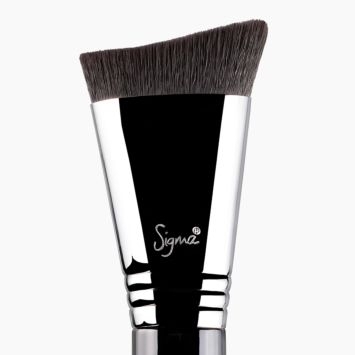 If you are looking for a stiff flat top foundation brush I would recommend the Sigma-F80 Flat Kabuki&trade;. 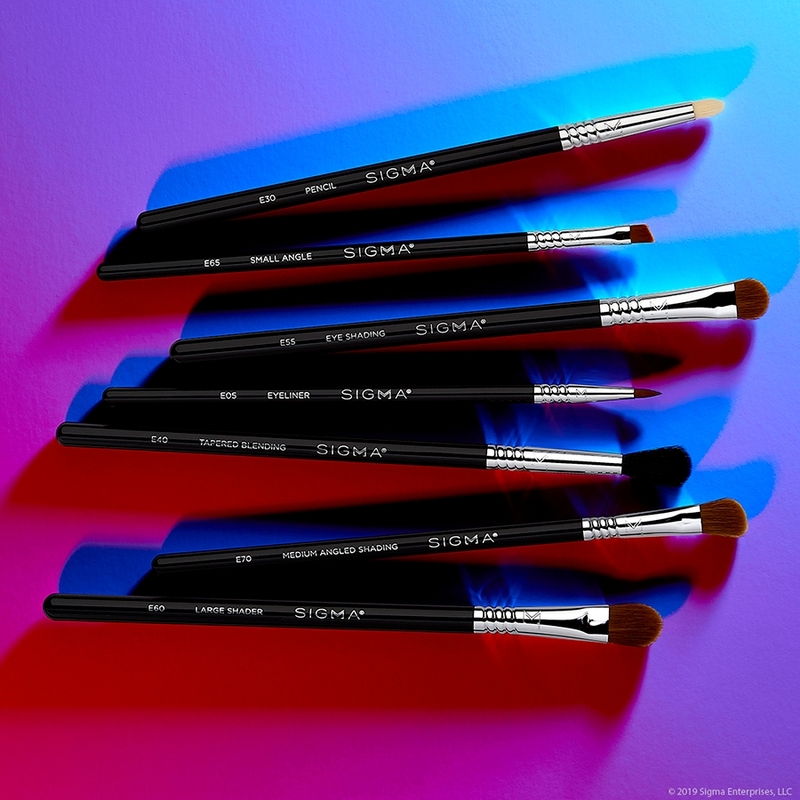 The cult favorite Sigma F80 Flat Kabuki&trade; brush provides a flawless, high definition finish with liquid or cream foundation. 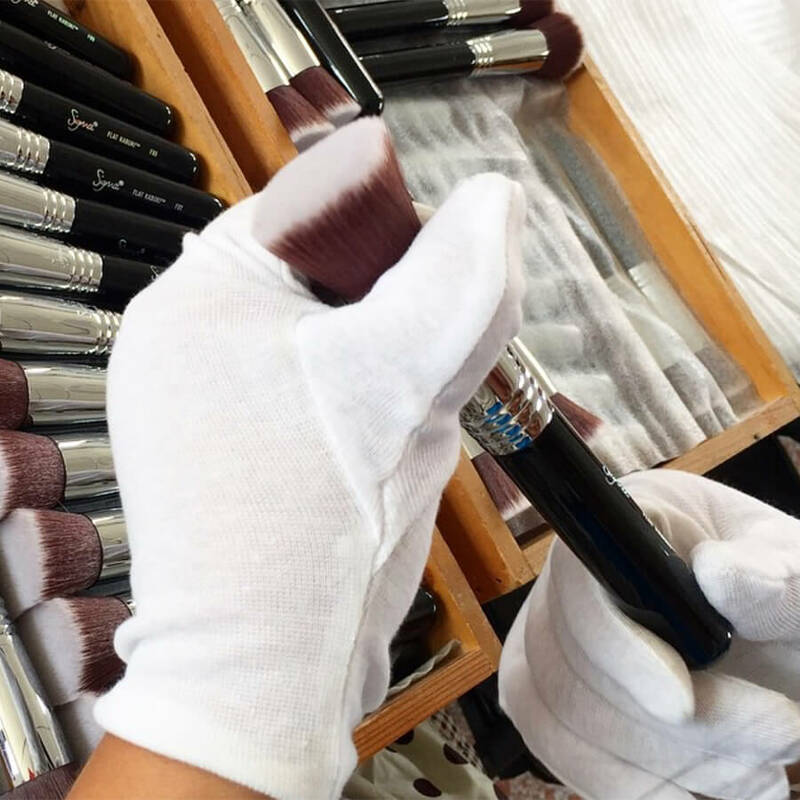 is this brush the same as the kabuki brush F80? 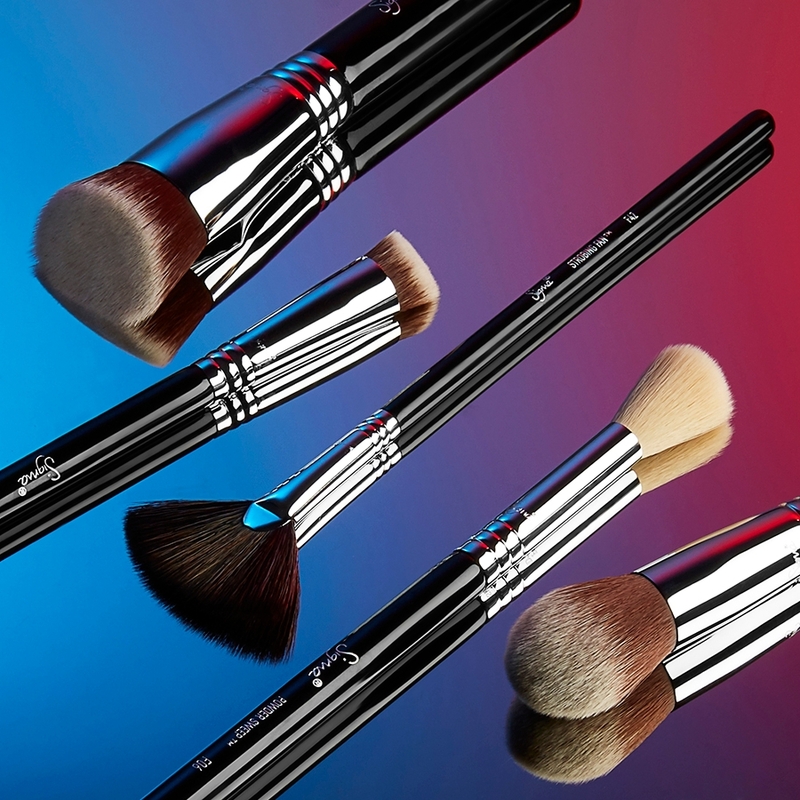 The F50 Duo Fibre brush will be different from the F80 Flat Kabuki. 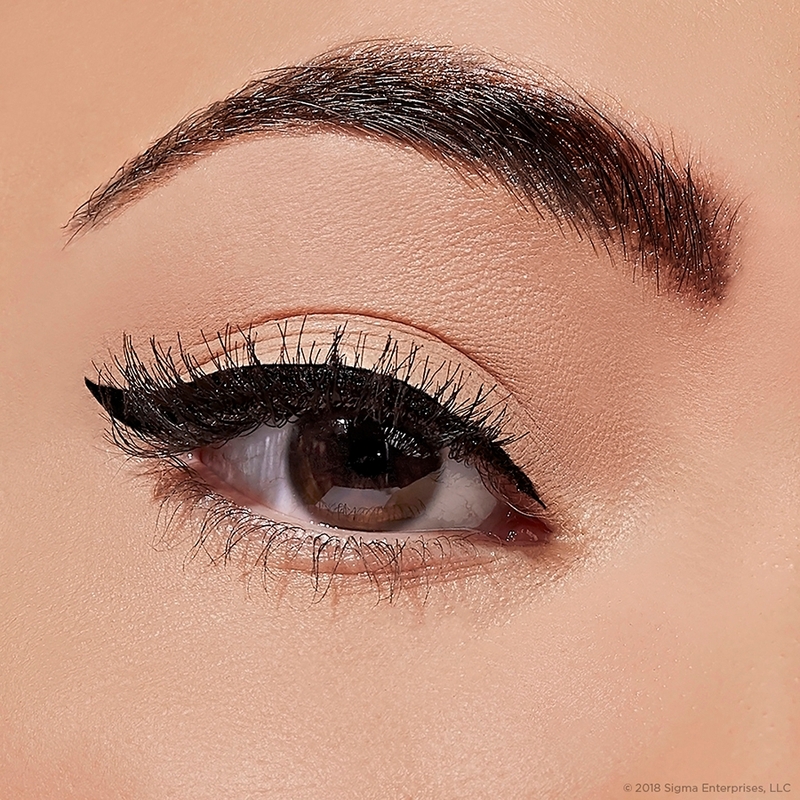 The F80 Flat Kabuki is a very dense brush made with our exclusive Sigmax&reg; Fibers while the F50 Duo Fibre has an airy flat brush head with bristles that will not be dense like the F80.